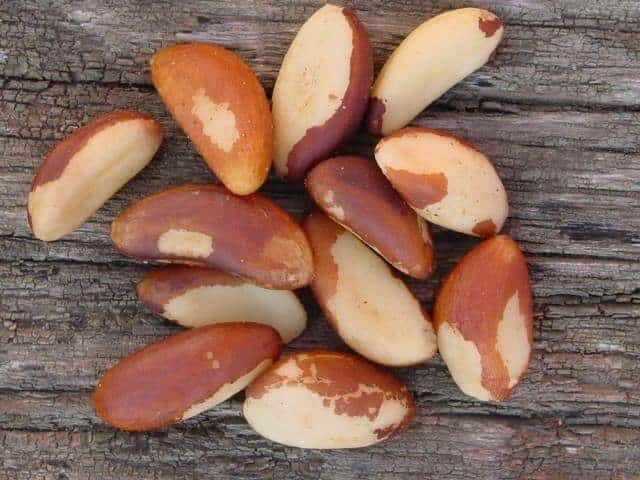 Brazil Nut is rich in selenium, and its health benefits include boosting the digestive system, improves immunity, for the healthy heart, balance hormone function, reduce the chance of cancer, improves male fertility, aids in weight loss and rejuvenates the skin to reduce the signs of aging. Contrary to their name, they are not nuts. Instead, they are South American commercially harvested edible seeds. They are the fruits of Brazil nut trees, which are the only species in the monotypic genus Bertholletia. It’s quite shocking that they can live for as long as 500 years and even more. Hence, it is illegal to cut them in Brazil. How To Consume Brazil Nuts? Do Not Consume Brazil Nut In Excess! How Does Radium Get Inside The Brazil Nuts? Did you know that Selenium is one of the most important dietary minerals? It is necessary for the proper functioning of your body. However, Selenium is essential only in small amounts; that’s why it is known as a micronutrient. You should know that Brazil nuts are the most abundant source of Selenium. It is due to Selenium that Brazil nut has proven itself to be so beneficial for our health. Your body consists of 25 types of enzymes that need Selenium for their production. Some of these enzymes act as antioxidants. They work against cell damage by converting the harmful chemicals into the water. An interesting fact for you to know is that various researches made in the field of prostate cancer show slightly varied results when it comes to Selenium content of the body. According to one research, Selenium deficiency leads to a greater risk of prostate cancer. Selenium supplements might lower the risk of prostate cancer, but according to National Cancer Institute(NCI), for men with an existing and higher level of Selenium in their body, Selenium supplements will increase the chances of prostate cancer. One conclusion that you can draw from the studies is that Selenium content should be adequate but not be higher than the threshold value to extract maximum benefits. According to research, people suffering from HIV/AIDS exhibit decreased levels of Selenium content in their body. The near-death HIV/AIDS patients show the negligible presence of the mineral. Some might conclude that an adequate level of Selenium helps in reducing the progression rate of HIV/AIDS or, at least, help to reduce the hospitalization rate of HIV patients. Selenium supports your body’s thyroid hormone synthesis process and metabolism. It decreases the toxic concentrations of chemicals produced as a result of the synthesis. In the case of thyroid-specific autoimmune diseases, its presence in your body protects the thyroid gland from damage due to excessive Iodine exposure. It reduces inflammation, thus reducing potential damage. Selenium helps in boosting the production of white blood cells in your body. The WBCs produce antibodies to fight viruses and neutralize toxins. Selenium regulates the communication process between the immunity cells by coordinating their responses. Studies have shown that the asthma patients who had adequate levels of Selenium in their body exhibit less asthma-related symptoms than the ones who do not. However, there use for curing asthma is completely beneficial is not established. But favorite still helps to reduce the emergence of extreme asthma symptoms. If you’re an Asthma patient, there is no harm in consuming 2-3 Brazil nuts on a regular basis. Selenium will increase your sperm motility and blood flow, which are the two essentials involved in conception and reducing infertility. The mineral is encapsulated in the sperm mitochondria and affects the behavior and function of the sperm as they move through the vaginal canal. As you age, your body becomes vulnerable to dozens of conditions ranging from heart diseases to infertility. However, regular intake of Selenium will help you to boost the mechanisms in your body. These mechanisms consistently work to delay aging symptoms. Thus contributing to your longevity. Besides fruits, Brazil nut is one dry fruit that can help you with your regular fiber intake. It helps you by maintaining your muscle Hence is very popular among athletes and bodybuilders. Brazil nuts contain Omega-6 fatty acids. Your body cannot produce it by itself. But it is essential for proper growth and development of your body. You should include this in your diet. This is especially good if you are a vegan because most of the omega-6 fatty acids are only available through fishes. They help you combat chronic skin diseases like eczema, dermatitis. They also play a major role in the cardiac defense. A very powerful lipid soluble antioxidant that your body needs is Vitamin-E. Brazil nut is a rich source of it. You get 87 mg of Vitamin -E per 100 g of Brazil nuts. If you want a healthy immune system, skin, and eyes, then Brazil nut is just the right thing for you. If you’re looking for mineral rich food, then Brazil nuts are for you. They contain fair percentages of magnesium, copper, manganese, iron, zinc, and phosphorus. While Magnesium is responsible for various biochemical reactions that take place inside your body, Copper prevents osteoporosis, i.e., weakness of bones. When you feel weakness, the magnesium produces the energy for you and does glycol sis. Manganese acts as the co-enzyme. You can have 2-3 brazil nuts at the start of your day with milk. This way you won’t face fatigue. Well, Brazil nuts contain high percentages of these. L-Arginine is an amino acid which is important for your heart and blood vessel conditions like high blood pressure, chest pain, congestive heart failure. When you consume Brazil nuts, your nitric oxide production is increased. As a result, your veins will dilate and relax. This allows free flow of blood in your body. Stop taking those vitamin supplements. You have the wonderful option of Brazil nuts. 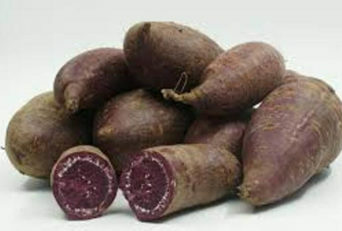 They are a tasty and rich source of the B-Complex group of vitamins like thiamine, riboflavin, niacin. These help your body for its various metabolic activities and processes of the body. Wouldn’t it be wonderful for you if you can satisfy your calorie needs without consuming fats? 100 g of Brazil nuts can provide you with 656 calories. Their high caloric content comes from mono-unsaturated fatty acids like oleic acid. 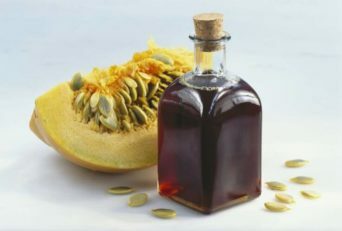 It helps to increase HDL or the good cholesterol levels in your blood. If you’re gluten sensitive, then Brazil nuts are something you can go with. Brazil nuts are free from Gluten protein. You can use them in preparing gluten-free It is a healthy alternative if you’re suffering from wheat food allergy and celiac disease. That’s right. Brazil nuts contain fats which won’t make you overweight.On the contrary, they make you feel full and less hungry for a longer time.You don’t need to eat a lot of them to be healthy. For an adult, the suggested amount is approximately 55 micrograms. Brazil nuts are quite large when compared to other nuts. You can achieve the prescribed amount only by eating 2-3 nuts. When you’re a vegan, you have to depend on eatables like lentils, protein supplements and a couple of other foods for your protein intake. Brazil nuts, however, are a storehouse of proteins. Their small amount can make up for all your protein needs. A handful of Brazil nuts provides around 9% of the recommended daily intake for men and more than 20% of the recommended intake for women. You should also know that Zinc plays many roles in the body but is particularly essential for healthy skin and hair, reproductive health and a robust immune system. You’ll be surprised to know that It is possible to extract oil from Brazil nut. Once extracted, it has a yellow color and is pleasant to both smell and taste. It is used as a therapeutic oil in many massages and therapies. It also acts as a lubricant and keeps the skin moist. You can find the Brazil nut oil is used as a base oil for several traditional medicines. It is also of great use in the pharmaceutical and cosmetic industries. It serves as an ingredient in various preparations and concoctions. Acrodermatitis Enteropathica is a rare disorder in which the body fails to absorb an adequate amount of zinc from the foods that you consume on a daily basis. Consequently, it leads to zinc deficiency. Brazil nuts can help in the curing of this disorder as it contains high levels of zinc. Not only does it benefit people suffering from this disorder, but also those who suffer from zinc deficiency. Do you know that Brazil nuts are famous around the globe as a ‘Testosterone Booster‘? Before I move on, I’d like to tell you about testosterone. Testosterone is a hormone produced in the males, by the testicles and is responsible for the proper development of their sexual characteristics. It is also crucial for enhancing muscle bulk, optimum levels of red blood cells, the growth of bones, sexual functioning and a sense of well-being. Brazil nuts are the most abundant source of Selenium and Selenium has been linked to elevated testosterone levels. The Cholesterol is chemically converted into testosterone in the inner parts of Leydig cells present in the testes, and that is why men reading this should not underestimate the power of this marvellous nutrient which should be a staple in your high testosterone diet. Brazil nuts are a powerhouse of antioxidants that protect the sensitive testosterone molecules from oxidation. There are certain antioxidants that work upon stimulating the Leydig cells to produce more testosterone. The 2013 Journal of Anthology reported that dietary selenium was able to increase fertility significantly regarding sperm quality, quantity, volume, and motility. The quality of your sperm is directly proportional to testosterone levels. It’s scientifically known that men have higher testosterone, also tend to have the higher sperm count. However, it should be noted that both low and high selenium concentrations are reported to have a negative influence on the number of sperms. Therefore, consumption of Brazil nut in limited amount increases your testosterone level but excess could lead to adverse effects. If you are on a strict diet, then you probably have to measure and monitor your nutrition intake for desirable results. This chart can be of great help if you are including Brazil nuts in your daily diet. Brazil nuts are available (unshelled or shelled) roasted, sweetened or salted in the stores. You can directly eat them. Buy whole, brown color nuts that are compact and fully packed. Avoid shriveled and damaged ones as they may be affected by fungal mold. You can directly consume raw brazil nuts too Although they are hard like walnuts, you can use a small size nut shelling machine or hand held pliers hammer/stone to break them. Raw nuts are cut open from processing units using larger sheller machines. You can also use them in fudge, puddings, pasta, spaghetti, crunchy bars, nutty bars. Coarsely grounded Brazil nuts can be sprinkled over fruit/vegetable salads. Fresh Brazil nuts are ivory white. Do not eat them if they have turned yellow. Due to their high-fat content, they are prone to rancidity. You can follow the given three procedures if you wish to store them. In a large bowl containing water and dissolved sea salt, add the brazil nuts. Allow 8-12 hours standing time. After 8-12 hours, rinse the nuts, let them dry and then store them in an airtight container. Place the Brazil nuts on an ungreased cookie sheet at sufficient distances. Bake for 10-12 minutes. Check by cutting one in half. It should be pale brown throughout. Allow the nuts to cool for about an hour. You can now store them in an airtight container. For those of you who do not like drinking plain milk, Nut Milk is a great way of enjoying the benefits of cow’s milk without involving any dairy. It tastes great, easy to make and affordable. Plus you don’t need many ingredients. You’ll need to soak the Brazil nuts for at 3 hours in water. Then rinse. The color of this mixture would be white/off-white. Line a large bowl using your nut milk bag. Pour the mixture into the nut milk bag. You can also use cheesecloth. The pulp or solid particles in the mixture will be caught in the cloth. Squeeze the pulp in the cloth until no more liquid is pouring into the bowl. The liquid in the bowl is your nut milk. Serve chilled. Enjoy the drink. TIP: You can use this milk in other recipes that require dairy products. That way you’ll have your protein and fiber-rich version of any recipe. This method effectively incorporates Brazil nuts in many recipes. As a twist, you can add dates and cinnamon for flavor. Once you have had Brazil nut milk, there is no going back. The Brazil nut milk gives you this smooth and silky texture. It is enough for your creamy food cravings. You can use this nut milk for creating excellent quality cheese which you can sprinkle on any food of your choice. Wouldn’t that be great? Let’s see the recipe. Pour into a jar or sealed container. Store in a cool, dry place or refrigerate. It’s vegan, raw and gluten-free. A smooth, creamy texture with a crunchy twist in a dessert would be hard to resist for you. I understand. Brazil nuts can help you take your dessert dish to a whole new level. You can use the nuts for base or a crunchy top. Fresh strawberries, pistachios, brazil nuts, chocolate sauce. Divide the mixture into two halves. Pour one-half in a tin utensil and place it in the fridge for the setting. Take another half. Blend it with cocoa powder and the dates. If you are a dates lover, you can increase the number of dates. Take this mix and pour it over the other half of the mix initially placed in the fridge. Again, refrigerate for the setting. Pour this mouse over your refrigerated mix. Put it back in the fridge for about 2 hours for it to set. After the suggested time, you can serve the cake with your favourite This cake will take you straight to the heaven. I promise. Salads and nuts are a dynamic duo. If you are on a diet, salads are your go-to food. It can sometimes get boring. Brazil nuts, however, can add flavor and crunch to your boring food. It’ll also add to the nutrition value of your food. You might want to try the following recipe. Chop or tear the Kale into small pieces. Mix Mayo, mustard, lime juice, salt, and pepper. Add the Kale to the Mayo mix. Mix the contents together with your hands. Add the rest of the ingredients with the mixture and let it sit for the flavor to diffuse into the veggies. Rinse the rice with cold water. Boil the water and simmer until the rice is tender. It takes about 30-45 minutes. Drain and set aside. You can prepare the dressing while the rice is being cooked. Heat some oil in a small pan and cook the onions until they turn golden. Throw in the mushrooms, until they are soft and colored. Set the mushrooms and onions aside. Take a bowl. Add all the dressing ingredients into it and whisk the contents. Throw in the cooked rice and all the salad ingredients and mix everything. Sprinkle the mix with sliced chilly. Throw in some noodles and Brazil nuts before serving. This adds crunch to the salad. The salad is ready to be served. Team Brazil nuts with fresh dates for an after dinner snack to satisfy your sweet cravings. For an antioxidant-rich meal, combine your favorite pasta with broccoli, sundried tomato, and Brazil nut pesto. Chopped Brazil Nuts are great added to cereal or yogurt. For a change from peanut butter, try ABC spread (a combination of almonds, Brazil nuts, and cashews). Brazil nut burgers – combine Brazil nuts, red kidney beans, grated carrot, parsley, spring onions, lemon juice and garlic in a food processor. Form into patties and cook in a frying pan or BBQ using little olive oil. Serve on a whole grain roll with avocado and salad. Add Brazil nuts for a nutty variation on your favorite fruit cake. Combine chopped Brazil nuts with fresh breadcrumbs, herbs, and egg to make a tasty Christmas turkey stuffing or use to coat fish or chicken. Some people are allergic to certain nuts. So if you have never had Brazil nuts before, be careful while tasting them for the first time. The reaction symptoms include hives which mean simple skin itching, a severe form of allergic reaction all over the body within minutes of consumption, problems in breathing, pain in lower abdomen, diarrhea and vomiting. I’d like to beware you here. If you consume Brazil nuts in excess, it may result in Selenium toxicity. Often your body can show symptoms that are serious, with feelings of nausea, vomiting, garlic-type odor in the breath, emotional imbalance. Other likely and severe manifestations may include dental caries, neuropathic pain, dermatitis, alopecia (loss of hair), etc. I’d strictly advise you to eat only a few nuts. Probably two to four nuts per day as each weighs around 5 grams. Since selenium is a micronutrient, it is needed in very small amounts. 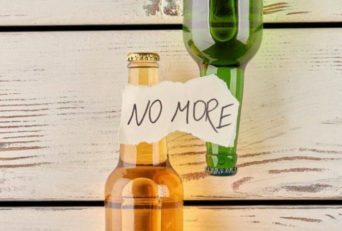 You’d be surprised to know that according to The Institute of Medicine and National Academy of Sciences, an overdose of selenium can be toxic and can cause brittle and white nails, upset stomach, hair fall, irritability, fatigue, rash. Brazil contains high amounts of aflatoxins that are carcinogenic, i.e. Cancer causing agent. Their high amount can induce cancer in your body. Small amounts of radioactive radium are also found in Brazil nut, the reason being its vast root system. It is a thousand times more than what you’ll find in other foods. The less common side effects include problems in the digestive. However, the only symptom known yet is a stomach ache. 1 cup of pearled barley can provide your body with the same selenium content as 3-4 Brazil nuts without the side effects. If you wish to start healthily eating nuts, it is better to combine small quantities of different types of nuts and dried fruits. For example, instead of having a handful of almonds on Monday, a handful of cashew nut on Tuesday and a handful of brazil nut on Wednesday, you could have 2 of each of the above daily or 4 times a week. You can also prefer buying organic Brazil nuts which are naturally produced and less processed. If you are allergic to nuts, you should refrain from consuming them. 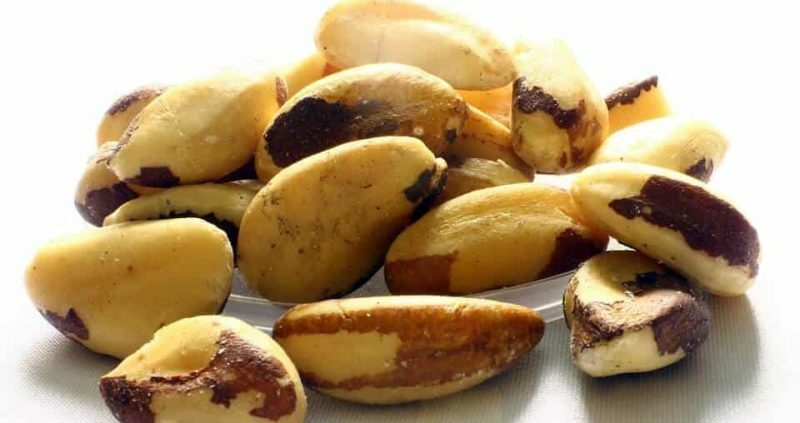 If there ever exists such a thing as an award for the ‘Most radioactive Food,’ Brazil nuts are the sure winner(approximately 6,600 picocurie/kg). Brazil nuts contain high levels of Potassium and Radium, which are radioactive elements. On the one hand, Potassium is undoubtedly good for your body, but its presence is one of the reasons why our bodies are radioactive. Radium is present in the soil where the Brazil nut trees grow. Since the trees obtain most of their nutrition from the ground, this radium gets absorbed by the roots of the trees. This radium further seeps into the seeds of the trees. Hence, the Brazil nuts are a bit radioactive. Their Radium content is 1000 times greater than what you’d find in other irradiated foods like Bananas, Carrots, potatoes. However, this radiation is not very harmful. This is because most of it passes through your body with the least effects. However, I’d strongly advise you ‘again’ to not consume the nuts in excess. You should remember, ‘Moderation’ is the key. You don’t want your urine or feces to be radioactive. We would recommend consuming Brazil nuts. You should not refrain from drinking something as wonderfully beneficial as Brazil nuts. But avoid excessive consumption. You should eat everything but in moderation.